1) Type 1 heavy machine gun or canopy parts can be equipped to the sidecar. 2) Single motorcycle type can be built. 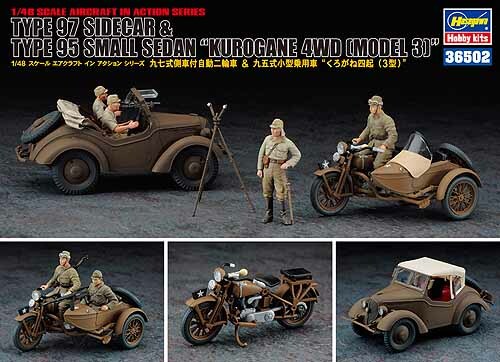 3) A sidecar crew figure is included. 4) The pose of driver fugure can be selected from two different kind of head and body parts. 5) Speaker parts for police type (after WWII) are included as additional bonus parts.